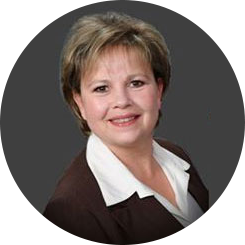 Lynette Potter is a Corporate Coach specializing in the banking, real estate, insurance and health industries. When Lynette is working with your company, she energizes and revitalizes one of your biggest assets – your people. Lynette teaches employees and leaders the mental game of business, akin to the well known mental game of super star athletes. The secret to this unique approach is a program created by the Proctor Gallagher Institute called Thinking Into Results. This premier program unveils strengths and weaknesses through individualized examination and the role that individuals play in the team environment. The experience then allows a power shift, transforming the positive energy into the human production well beyond what can even be imagined at this point. Lynette’s passion for superior customer service has always been the cornerstone of her business acumen. Not only does she bring her own passion to your business, but it also becomes so infectious that she helps you turn every employee into a brand ambassador. Imagine how engaging brand ambassadors will be within your organization! Lynette comes from 30 years in the mortgage banking industry and has coached thousands of families, including corporate leaders and executives. She has always enjoyed helping others achieve their financial goals. Her experience in the banking industry gives her special insight into the complicated structures of multiple layers of government and oversight, and how these regulations impact the customer experience. If you are seeking to shift your team’s results into high gear and want results that last, please call Lynette Potter for a conversation. She can be reached at lynette@shiftingresults.com or 918 605-0788. You will be both shocked and amazed to hear about this magnificent program and how it can get you the results you desire!